The last 16 months have been huge for THE STORY SO FAR. Since the release of their debut full-length, Under Soil And Dirt, in July 2011, the band have gotten rave reviews all over, toured relentlessly, upstaged bands they’ve opened for, got all of their permanent members out of school and on the road (finally) and scored a tour with New Found Glory—the band they’re named after. 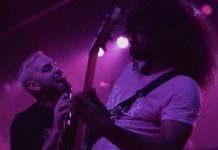 Now the pop-punk quintet are once again hitting Panda Studios with Sam Pura to record their yet-to-be-titled sophomore full-length, and they’ve brought in NFG's Steve Klein to help produce. 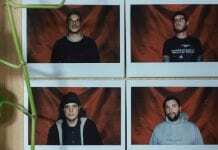 AP caught up with bassist Kelen Capener to chat about their family-like operation, breaking out of their niche and the new album. You spent some time demoing, and now you’re starting to lay down the final versions of the album. 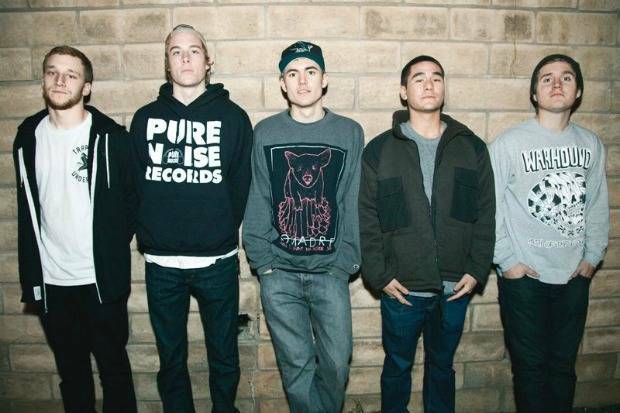 KELEN CAPENER: Yeah, we came into the studio with 13 songs to have some wiggle room. We are just starting drums, but we’re going to write some more material while we’re recording and try to have something else in case we want to cut back on something or do a B-side or something. You’ve done all of the Story So Far’s material with Sam Pura at Panda Studios and you’re sticking with Pure Noise for the release. Is there a vibe that just works with this group so you “keep it in the family”? We are all in such a close vicinity to each other, and it’s the team we’ve worked with since we started, so it’s just the functionality of it. We trust each other, so we have this little network to help our friends out and they can help us out. 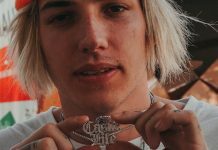 We know from our experiences recording with Sam [that it works] and Jake [Round, Pure Noise Records owner] is a very trustworthy guy who is in it for the right reasons. He’s not just trying to milk us. Even our booking agent is our friend. In some way, everyone we work with is from our hometown. Did you receive offers to go elsewhere? Yeah, we just decided that it wasn’t for us. It’s kind of a weird state for record labels, and we thought what we had going was a good thing. With the interenet, there’s a lot of capacity to do things that record labels used to do, so we took the security of our friends rather than having a little more money from another label. Some bands take a gamble by trying to move up the ladder and get more money, but then flop instead of keeping it a little more DIY and ending up happier with the results. Definitely. If worse came to worse with Pure Noise, we wouldn’t be trapped in some deal; this would have an easier emergency exit if that came to happen. So with a full album's worth of demos, where are the band headed sonically? [The songs] sound like us. We haven’t diverged too far away. We’re just trying to see what was good about the last record and enhance it. We’re not trying to reinvent the wheel. Looking at each part is something very important to us. We don’t try to put anything in a song that’s filler. At the root of it, we’re sort of a punk band, so if there’s no need for a part, we don’t put it there. As part of the new pop-punk landscape alongside acts like the Wonder Years, Man Overboard and Transit, how are you keeping yourselves relevant as the scene expands? We don’t try to stick to that. It’s good that we have our niche listening group, but we definitely try to write music that appeals to people outside of that, too. All these pop-punk bands that came back and people who were in this one scene were the ones who gravitated toward [the scene] and made it what it was now. We’re trying to write music for everyone. We’d like to bring it back to where it was in the early 2000s where pop-punk was something everyone was listening to and you didn’t have to be a part of some niche to listen to or enjoy it. Our goal is to make it relevant outside of specific circles again. Do you have a tentative timeline for the release? It’s probably going to be on the early end of 2013. Everything is on track for that right now. How stoked are you guys to be touring with New Found Glory? Oh man, we are super-stoked. It’s one of those things that you rule out of your head when you’re a kid and never think it’s a possibility. We were very young when we were listening to them, so it’s weird. None of us thought that was something we’d do in our lifetime. We’re all older and it’s more of a reality, but now we know them and it’s a different relationship with the touring lifestyle and the industry. It’s a very eye-to-eye relationship. And Steve Klein, their guitarist, is producing your record. Yeah, he came in to see what we were working on and gave us some pointers without hurting our integrity or trying to take over the creative process. He’s just an extra set of ears on the outside so he can advise us in certain ways. He has experience we don’t have, so it’s a good element in the process, as far as developing these songs. It seems like you’ve got a solid team behind you that you’re comfortable with in the long term. Yeah, it’s nice to be able to work with people we consider friends. Everything is broken down now so you don’t have to be so dependent on a label to have success. With things like the internet, [bands] will just go viral and they can make a career out of YouTube. It’s a totally different world.